If winter doldrums have you hitting the snooze button on repeat, this will wake you up: a sneak peek at the new commercial for incoming Broadway musical Groundhog Day. 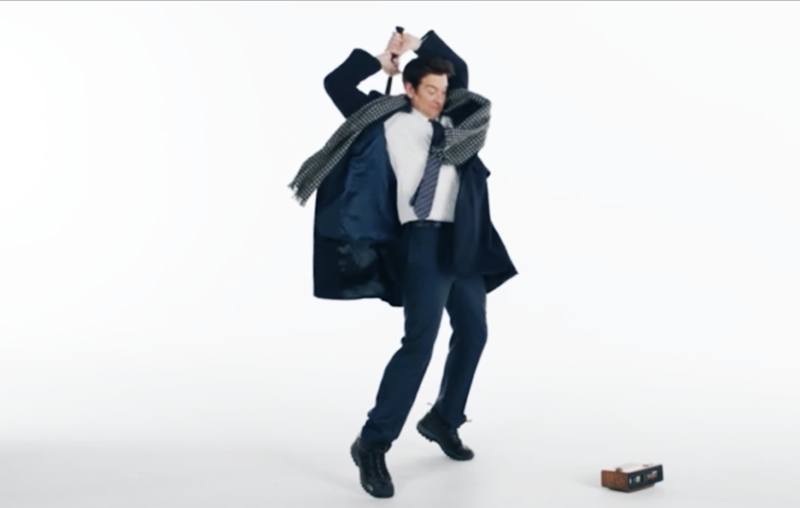 Watch the ever-charming Andy Karl beat the crap out of his alarm clock… again and again. It never gets old to see Karl jumping in slow motion, but that morning wake-up jingle is another story. The new musical, which features music and lyrics by Tim Minchin, follows cranky weatherman Phil Connors (Karl) as he reluctantly goes to cover the story of Punxsutawney Phil and ends up in a time loop that is no fun for him, but hilariously engaging for audiences. Groundhog Day begins performances at the August Wilson Theatre on March 16.